... if he is asked to provide his DNA. The rumors have been floating around for months that "Urko" - one of the infamous codenames found in the Operación Puerto dossier - could belong to Spanish rider Oscar Pereiro. No one dared touch it except a few anonymous web sites until Il Giornale, an Italian newspaper in Milan, published a story Wednesday without naming sources linking Pereiro to bags of blood with the pseudonym found in police raids last May. An angry Pereiro blasted the allegations Friday and said he would quit cycling if he's forced to provide DNA samples to prove his innocence. "I have never spoken with Eufemiano Fuentes," Pereiro told the Spanish newspaper El Mundo. "It's unfair that cyclists have to prove our innocence. I am ready to do anything, but if I have to use DNA to demonstrate my innocence, I will leave cycling, because it's obvious that cycling like that isn't worth it." That just sounds funny to me. I'm telling ya, McEwen will be declared the GC winner before its over. If this continues, Levi Leipheimer will eventually be the 2005 Tour champion. edit... bah! Namenda got the joke before me! Why the hell would you threaten to quit cycling before giving a sample? Aren't you basically just saying that you are guilty by doing that? I love how Caisse d'Epargne is all bitter about Valverde being named...how dare you name him? Yea whatever, he is implicated and should be suspended like everyone else was IMO. Give the DNA if you are innocent, shut the f--- up if you aren't. Spanish ProTour team Caisse d'Epargne will consider legal action against any new attempts to "throw doubt [through] public opinion based on unfounded speculation" in regard's to its riders involvement in Operación Puerto. The squad's declaration comes after an article in Italy's La Gazzetta dello Sport newspaper revealed further information on the case in recent weeks. The article claimed a blood bag, allegedly linked to Caisse d'Epargne rider Alejandro Valverde, showed traces of EPO. All the riders forming part of our professional staff, whatever their nationality, subscribed in a contractual way the clause by which they commit themselves to provide their DNA. As a consequence it not true to say that among those cyclists, some of them refused to give their DNA. With regard to Alejandro Valverde, if there would be a doubt as for his implication in the Operación Puerto, these last days we received information from all the competent authorities, national, international, legal, administrative and sporting, and one more time, and they are already numerous, we confirm that there is no new fact, indication, proof or investigation, which allows, neither directly or indirectly, to connect him to the Operación Puerto. Lastly, we want to highlight the fact, if what precedes is not sufficient, that Alejandro Valverde, present at this act, declared that he completely agrees so that his DNA is checked with any element of proof existing within the framework of the Operación Puerto, as soon as the Courts of competent jurisdiction would consider it necessary or convenient. The organisation and its sponsor, French bank Caisse d'Epargne, have been forced to fend off further speculation of a rift between the pair over the latest allegations after an article in L'Equipe alleged the pair had met to discuss the situation. A representative from the bank confirmed a meeting took place, but that it had nothing to do with doping rumours. The statement concludes "After this declaration, we want to underline the fact that all new attempt to throw doubt [through] public opinion being based on unfounded speculations, not only will be an obvious fact of unfairness with falsification of the truth, but will also give place to the exercise of the legal proceedings corresponding to the defence of the honour and the reputation of our rider, our team and our sponsors." The views expressed by this poster do not reflect the views of BikeForums.net. I'm seriously not understanding the refusal of "innocent" riders to give DNA. If a little prick could prove my innocence once and for all I'm down! Exactly... I was never a big Pereiro fan, but now i'm 100% convinced he doped. BTW, World Champ Paolo Bettini made this same threat to retire last year. WEVELGEM, Dec 7 (CP) - Paolo Bettini announced to end his career when his DNA is asked in the fight against doping. "When they ask for my DNA, I am willing to retire immediately. I have already won a lot... It is good that DNA samples are asked when riders have blood sacks at home," Bettini said. "When they claim that they are not theirs, they should undergo a DNA test. But I think that such a test does not help in the fight against doping." "
The folks at the Tour de France are really going to have to think this one through if that turns out to be Periero's blood. On the one hand, he passed all the Tour dope controls, and shouldn't be stripped of his second place unless it's proven he doped during the '06 Tour (or he admits it). On the other hand, they're going to look REALLY dumb stripping Floyd of the jersey and handing it to Periero, especially since Ullrich and Basso were not allowed to start for the very same reason. Well, that's it for me. I'm watching NASCAR from now on. Who cares what those guys are taking? Well, that's it for me. I'm watching NASCAR from now on. So let me get this straight. You are going from watching dopers to being a dope that watches. Here's a potential twist - Basso loses his '06 Giro win for suspected doping while Pereiro becomes de facto '06 Tour winner and keeps the victory even after proof of OP guilt...wouldn't that be a killer? The doping controls mean NOTHING. You can dope up to a hematocrit of 49% from a very normal 39% and be "clean," despite using EPO and/or blood packing to get there. Absolutely ridiculous that Pereiro would take this supposed "high ground" that he's innocent, but if asked to prove it he's quitting cycling. What a way to save your reputation. I wouldn't give my DNA either. Look, they take your blood and urine during every race you do. What's to say they haven't planted your blood from that in some bag, thus matching to your DNA? Not saying they are doing this, but there's been ZERO protocols in chain-of-custody the doctor's lab on that stuff. Okay, good point. Maybe Aussie Rules Football? But he has to know that one way or another they will get it, which is why I suspect, Basso had a change of heart. I agree with donrhummy. I say riders have a right to privacy. It really is a issue of pride and can't be explained logically like some are trying to do: "I'm seriously not understanding the refusal of "innocent" riders to give DNA. If a little prick could prove my innocence once and for all I'm down!" To be a suspect is enough to cause offense. pereiro doth protest too much, methinks. Pereiro angrily rejected those calls Friday and said he's ready to skip this year's Tour de France. "I don't know what's happening, but I have to say in the last Tour, I was the smartest one. I went away in a breakaway and I gained back a half hour," he said. "If they don't want me to race in the Tour, they should clearly tell me. Cycling doesn't end with the Tour de France. If they don't let me start, that's no big deal, I will stay here and race the Vuelta a España." Yes, Oscar, you were the smart one. A tactical genius, uh huh. Or maybe you were lucky enough to get a 30 minute handicap by getting in the right break, and that handicap gave you second, not your gigantic brain. I can certainly see why cyclists wouldn't want their DNA tested at the much-maligned and apparently suspect French lab where the doping tests are done, but there are plenty of other places to test it that they could trust. Cyclists do have every right to privacy...and everyone else has the right not to believe them. Some of the OP guys are being prosecuted in their own countries just for lying about it, which wouldn't happen in the US. I have the right to privacy now; if I become a public figure I understandably sacrifice some of those rights. I look at it this way. If I refuse DNA I may lose a near 7-figure contract plus endorsements but give up some privacy and get a job driving a tour bus. If I give DNA I give up some privacy but keep the contract...still an easy call to me. Don't forget the Jason Giambi excuse - I took them but it didn't help me...just ignore my stats. Way to take credit for something he had nothing to do with. He should thank Phonak for that gift, something he's forgotten in the last 10 months. Must be the Albuterol going to his head. 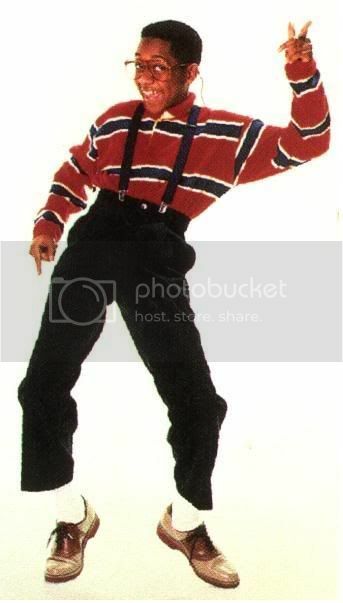 he's not urko, he's urkel. I remember listening to that stage (couldn't watch because I was painting) and thinking that it was really apparent that Phonak was trying at all costs to give away the Yellow Jersey. Now, we hear all the time about what a burden it is to wear the Yellow Jersey allegedly because of all the media attention. There is another burden, however, that is not mentioned: The wearer of the Yellow Jersey is tested after every stage. So if you are wearing Yellow you might not be able to follow your doping schedule. That can wear on you after awhile. "You guys are killing our sport. So - here is the deal: either accept OUR new doping controls, or take you high school level education, and go have fun selling hybrids at Performance Bike Shop."